Contrary to popular belief there are two ways you can get to our beautiful island. There is daily air travel and a ferry service six days a week. However, may we suggest that if this will be your first visit to Montserrat, you do so by air and here are six reasons why. The view. You will never smile as much as when you see Montserrat’s peaks revealed. Some days they may be covered with clouds but more often than not, you will get a good look at our signature hills whether you arrive in the morning or at dusk. You get to knock fly in a small plane off your bucket list. We are currently serviced by two airlines, both of which use seven-seater aircrafts. It’s a short flight. You get to Montserrat in 20 minutes, vs the 90 it takes on the ferry. Green will become your favourite colour. Montserrat is very green and we believe you will discover a few new shades you have never seen before. The thrill. You are an undercover thrill seeker and landing at the John A. Osborne will give you the kick you’ve been looking for. The pilots are very skilled and you will have a once-in-a-lifetime experience on one of the shortest runways in the world. Breathtaking view….This is different than number one. Here’s why. 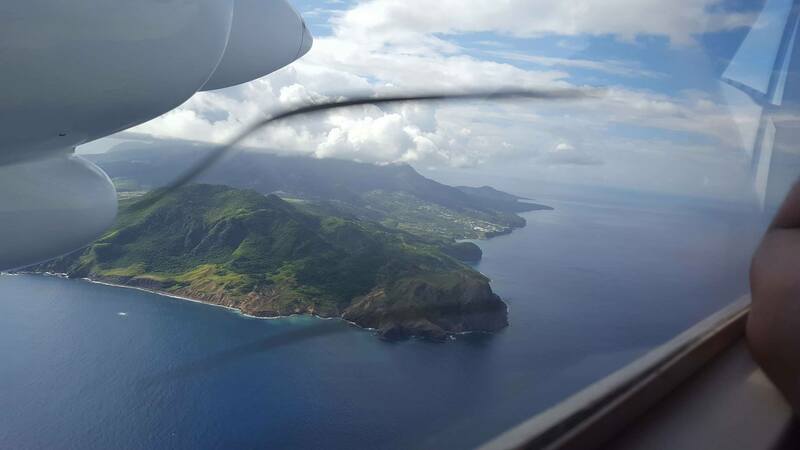 Now that you are even closer to Montserrat and no matter which approach your pilot takes you are going to be in awe of the beauty below you. BONUS – You will have one or two experiences on an inbound flight. Either you will strike up a conversation with the person next to you who is as excited to be heading to Montserrat or you will feel like you are in your own private ride and can selfishly express how it good it feels to be flying to the Emerald Isle of the Caribbean.